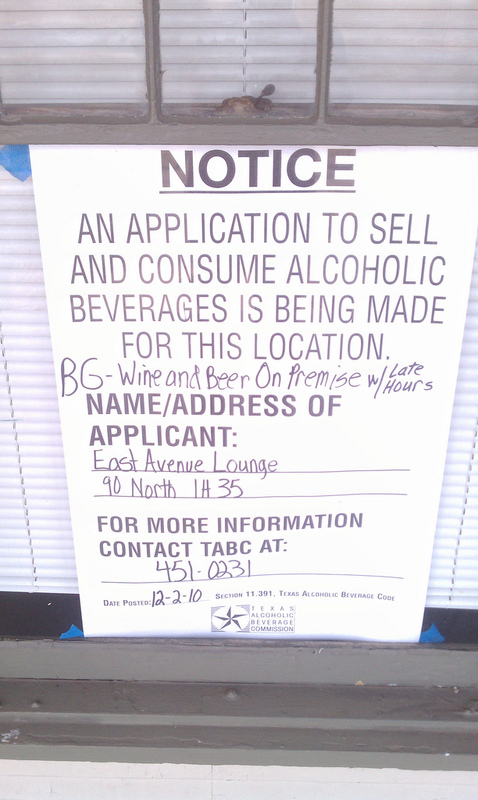 East Avenue Lounge, located along frontage road at 90 N IH-35 (aka East Ave), has posted their TABC application notice. 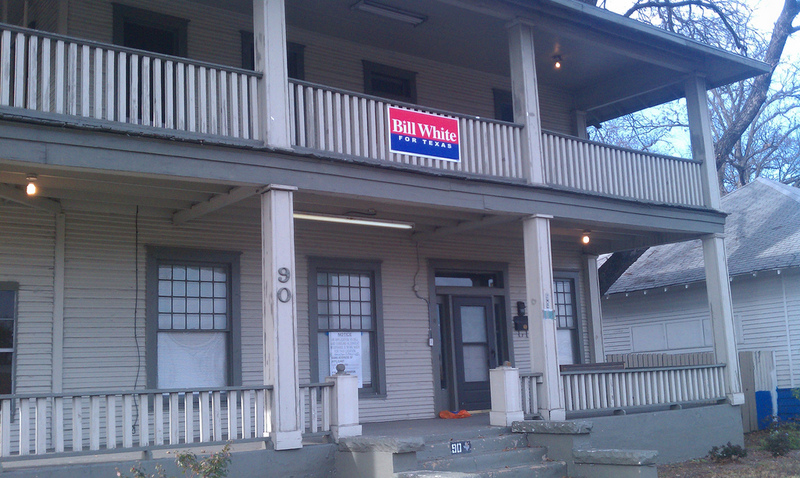 This is an interesting property. It faces I-35. It has an upper and lower porch. In fact, it’s the only legacy two story structure in the area – a defining characteristic that hopefully will be embraced with creative uses and design. The proprietors will likely benefit from lots of “on the way home” traffic. 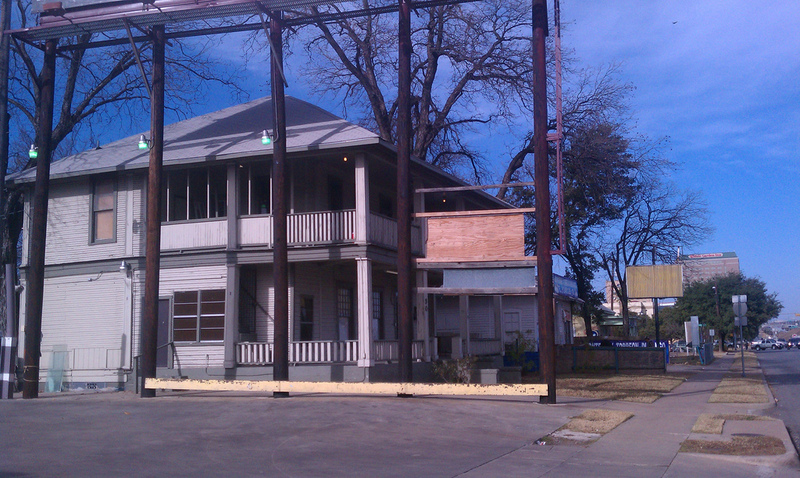 While inside the boundaries of downtown Austin’s Rainey Street neighborhood, this structure is located outside of the Rainey Street Historic District. So, I asked a poet to write something to commemorate the launch of DAB Realty. I think she nailed it! To great cafes and restaurants e’er near. Of the city – you couldn’t ask for more. To make downtown Austin the home for you. Looking for Austin life and real estate? Then to this Downtown Austin Blog relate! Just a week or so ago, The W Austin Hotel in downtown Austin held it’s grand opening. Boy, that place is nice. Jude and I visited the lounge areas and had dinner at Trace (link to Yelp reviews) on our visit. The decor is swank, and the menu is trendy. The dinner menu is separated into five categories: foraged, farmed, crafted, hunted, or shared, and the hotel restaurant has even hired an official forager, Valerie Broussard, to select local produce for the plates. A little pricey for some plates and a little small on the portion sizes (which, honestly – is to be expected, this is a *fancy* hotel restaurant, after all), but delicious overall. I had the Winter’s Garden salad, the Pumpkin Agnolotti, a basket of fries (from the bar menu – which I don’t have), and a glass of Merlot, all wonderful – the cost was about $35 + tip. Here are the menus – breakfast, lunch, and dinner (they apparently change fairly frequently, maybe seasonally?, – but this should give an idea on food type and price range) To enlarge each image, click once on the image to get to the image page, then click the image again. More after the jump. We’re not used to seeing parrots in downtown Austin. So, if you do see one, please give these people a call.